Nvidia likes to praise the so-called PhysX capability of its graphic cards. 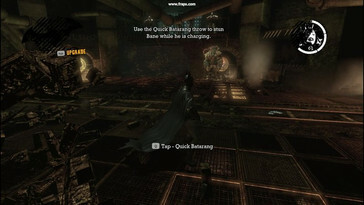 This allows the physics in adapted game tracks to be computed by the graphic card. We took a closer look on what the ominous PhysX involves with three (example) games, how big the optical and performance-technical effect is and if a notebook purchase with Nvidia cards are worth it only due to this technology. 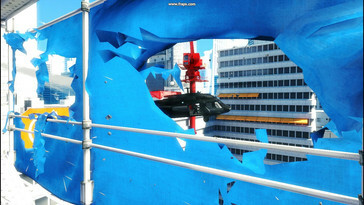 In 2002 a US American corporation founded the company Ageia Technologies. Ageia produced the physical accelerator (Physics Processing Unit, short PPU) "PhysX" as an extension card that could be inserted into the computer that has been available since 2006. The data of the PhysX card sounded rather modest: The manufacturing process of 130nm was already high for that time. Also, 125 million transistors as well as the GDDR3 memory capacity of 128 Mbytes weren't very opulent. The first PhysX cards were distributed by the companies BFG and Asus. Moreover, even big companies such as Dell or Medion integrated the PhysX cards as a part of their complete systems. Despite this support, the PhysX card was majorly a flop. On the one side, the price of ca. 250 Euros at launch for a pure physical accelerator was set very high. On the other, only few applications, and above all barely any games, required the PhysX technology. Another problem was the disappointing performance. One of the first games with PhysX support was, for example, Ghost Recon Advanced Warfighter 2 that barely looked any better with PhysX, as its velocity collapsed disproportionally. Due to these reasons, the PhysX card risked failure already after a short time. It was therefore surprising as Nvidia announced the takeover of Ageia in 2008 and with this, the technology of the PhysX card and the correlating physical engine Novodex, which was the link between application and hardware-based physical calculation. Following this, Nvidia integrated the PhysX technology in their own CUDA system. Note: CUDA is the abbreviation for Compute Unified Device Architecture and makes it possible to use the graphic card, so to say, as a "co-processor" and to execute numerous calculations (that were previously more foreign to graphic cards). Aside from the physical calculation, the acceleration of certain applications (i.e. Photoshop CS4) and scientific calculations (i.e. Folding at Home). Anyway, it was consequently possible to let the graphic card compute the physical effects due to CUDA. Because Nvidia has a close contact to various high-ranking developers with their "The way it's meant to be played" program, the PhysX engine became even more appealing and even faster than it did by Ageia. Outcome: In the meantime many games rely on the PhysX engine, a few of these even on the hardware side. 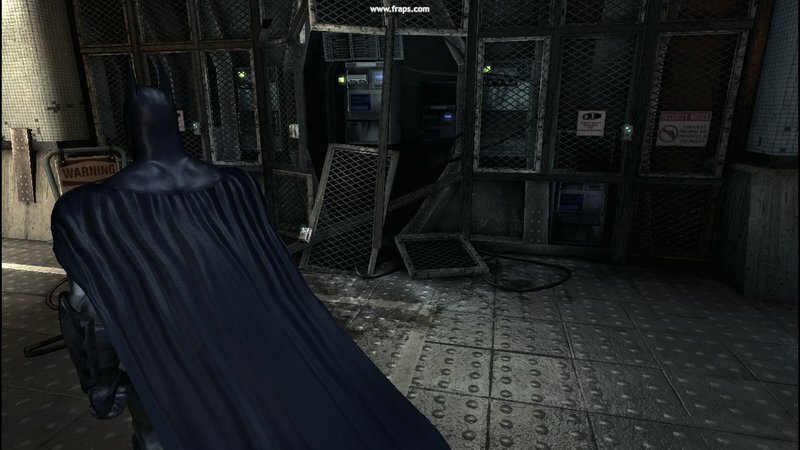 We have chosen three interesting representatives with the brandnew Batman Arkham Asylum, the already somewhat aged Mirror's Edge and the fairly unknown Cryostasis and looked at both the optical as well as the performance technical differences. But before we look at the single games in detail, we'd like to occupy ourselves a bit more with the PhysX technology itself. Modern graphic cards, in connection with state-of-the-art multi-core processors, are very well efficient enough to conjure up beautiful and almost photorealistic scenes on the monitor. Crysis is still to be named as a trailblazer, which probably is the best looking available game on the market despite its age of already two years. 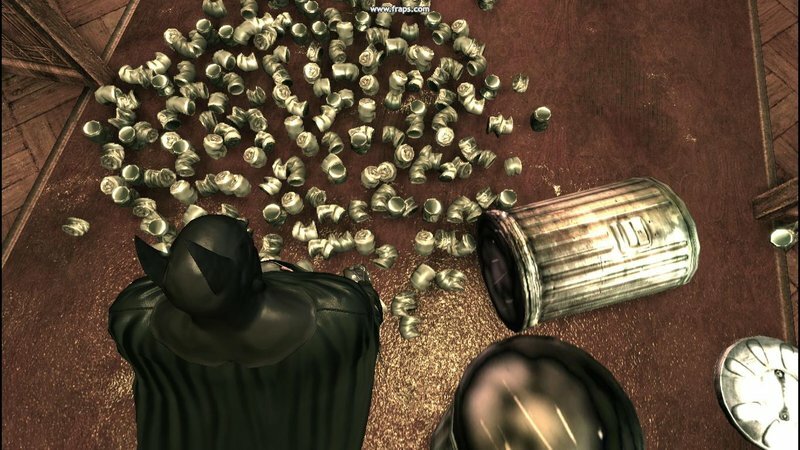 But most games (even Crysis) still have a backlog in computing precise and realistic physics. Because computing physics is very complex and hence devour an inconceivable amount of performance, most manufacturers waiver on a detailed physical component. But, that's enough theory. We now want to get to our three practical examples. The test system: We used Asus' G60VX notebook for our test. It theoretically has the necessary computing power to heave the numerous advanced physical effects with a Core 2 Duo T9400 (2.53 GHz), four GBytes RAM and a GeForce GTX 260M. 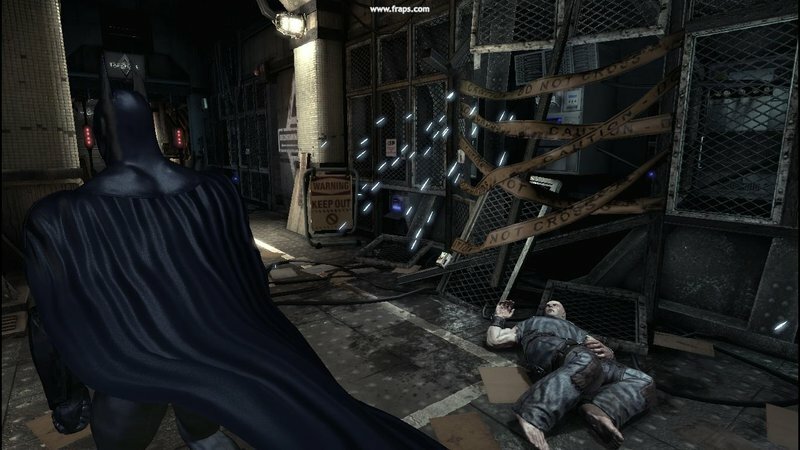 In Batman Arkham Asylum, Joker takes over the control of the eponymous nuthouse Arkham Asylum with help from inmates and other known characters from the Batman universe, such as Harley Quinn. Now it's up to Batman to free the mental home from its captors. 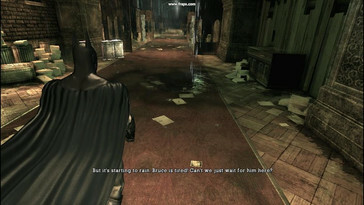 Batman is controlled in the third person view. 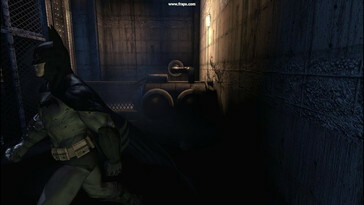 Stylistically, the game isn't based on the current Batman movies in which Christian Bale personifies the role of the bat, but rather on older movies. For instance, Joker doesn't resemble the deceased Heath Ledger, but reminds rather more the "old" actor Jack Nicholson. 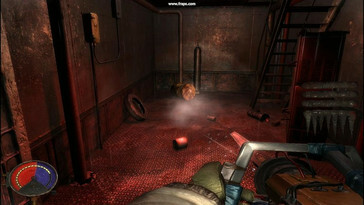 You encounter chic smoke and haze with enabled PhysX effects in many parts of the game. No matter if it’s the haze of generators or the fog on cemeteries. But the mist isn't only nice to look at because as soon as Batman moves through it, the smoke or mist reacts accordingly so that Batman leaves a "smoke-free" trail behind him. 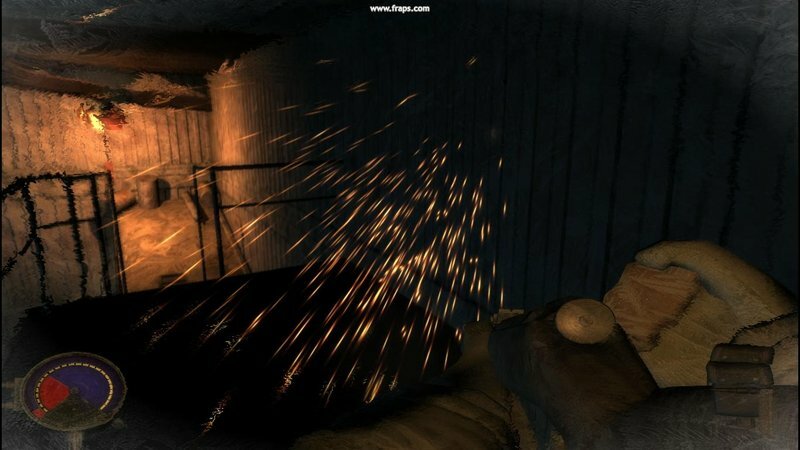 The smoke barely has an impact on gaming. 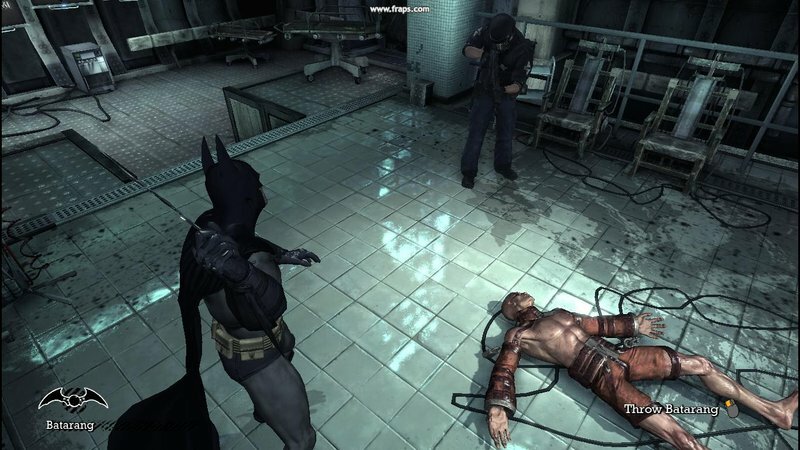 So there aren't any disadvantages without PhysX, although Batman should be easier to spot for his enemies without smoke. By the way, Arkham Asylum isn't completely unfettered from smog with disabled PhysX effects, the amount of vapor sources are only considerably limited. 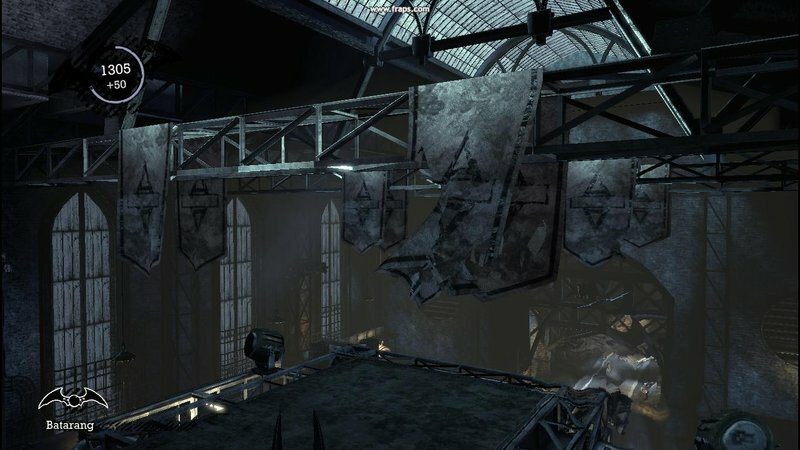 We barely noticed any destructible materials like curtains or flags in the mental asylum of Arkham in the trial game time. But when a destructible material moves into the picture, the degree of realism is very breathtaking. Thus, with Batman's boomerang "Batarang" holes can be blasted into the material, on the one hand. On the other, it's also possible to slash the material completely, which can lead to the whole material completely being torn down, when there are enough and/or precise hits. Unfortunately, the destructible textiles aren't available in the normal PhysX setting but rather first in the high PhysX setting of the options menu. However, even our GeForce GTX 260M was overloaded in this setting and the notebook studdered under firing at materials quite noticeably. 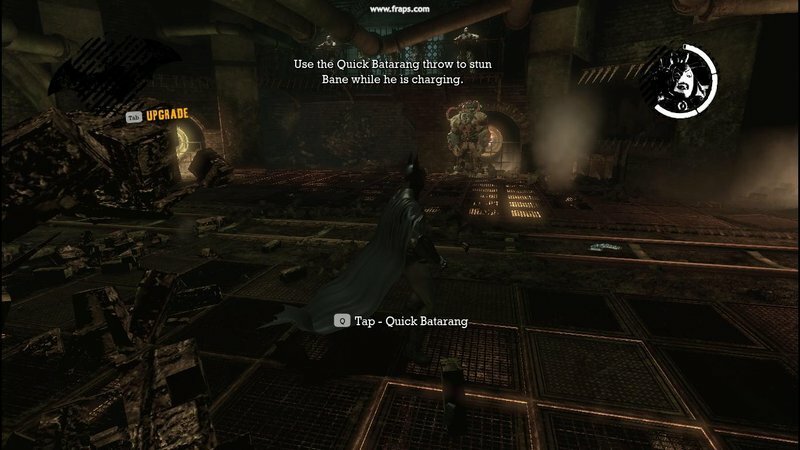 Not for nothing does Batman Arkham Asylum recommend a GeForce GTX 260M+ AND a dedicated GeForce 9800 GTX+ in the high PhysX settings. Most often you will "stumble upon" moving paper in Batman Arkham Asylum. Without PhysX, the paper is rigid and sticks as a texture on the floor. With enabled PhysX, the amount increases drastically and the paper reacts upon interaction and even air suction. 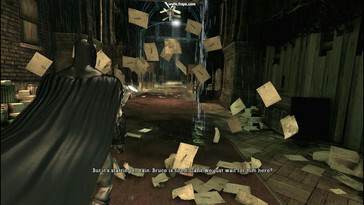 Unusual dynamics results, particularly in combat with several enemies, when for instance Batman's cape whirls up various papers during a sweeping motion. PhysX off – without PhysX the air is "clean"
In some parts of the game, objects like switch boxes attract attention with sparks. The effect is nice to look at, but other games, like F.E.A.R., prove that these and similar effects are very well possible without PhysX acceleration. Such effects are unfortunately mostly left out with a disabled PhysX and the presentation resembles that of the console version. A lot more fun than the particle effects are definitely the destroyable surroundings. 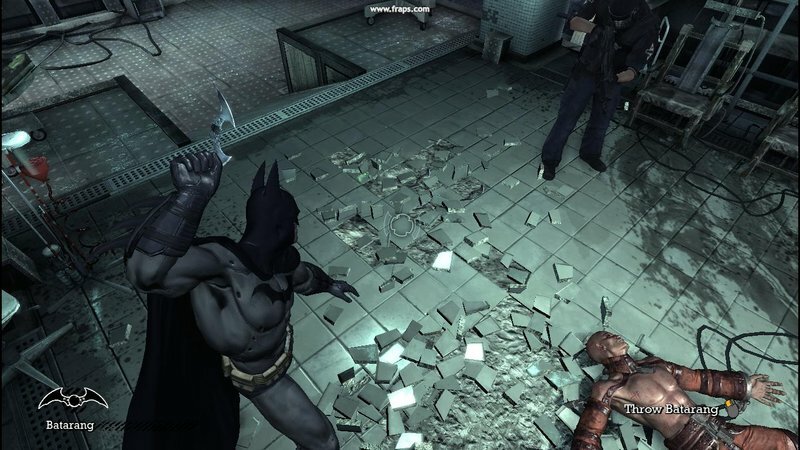 On the one side, floor tiles can be busted to small fragments with Batman's Batarang. 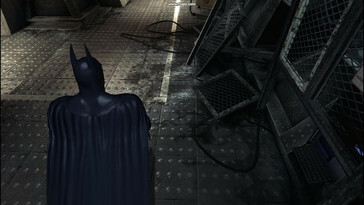 In opposition, surfaces such as the mentioned floor tiles stay undamaged without PhysX. On the other, walls prepared with dynamite or the rocks thrown by boss opponents crumble to dozens of small fragments, which then can even be moved realistically by surrounding influences. 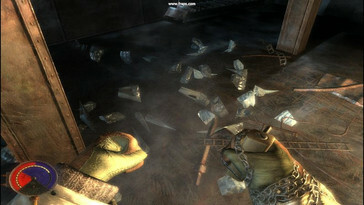 Whilst interactive objects are kept rather within a limit without PhysX, the amount proliferates enormously with PhysX. Hence, not only 5 but around 200 moving tin cans fall out of a garbage can, for example. 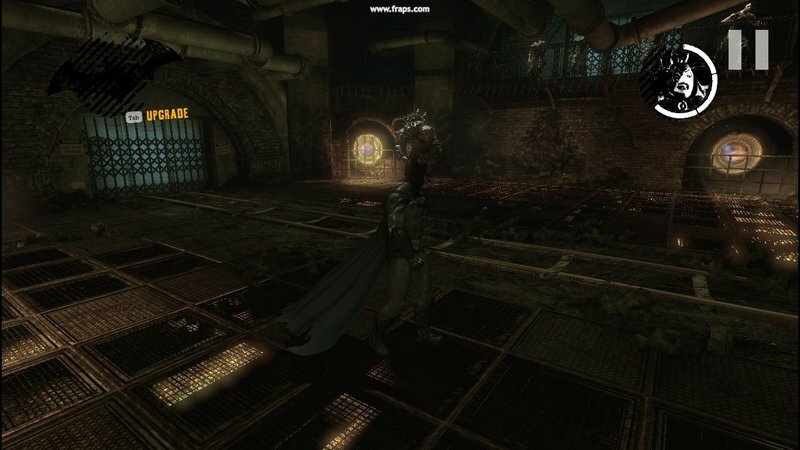 We ran the integrated Benchmark of Arkham Asylum in the native resolution of 1366x768 on our test device, the Asus G60VX. All options were activated and we set the details on very high. 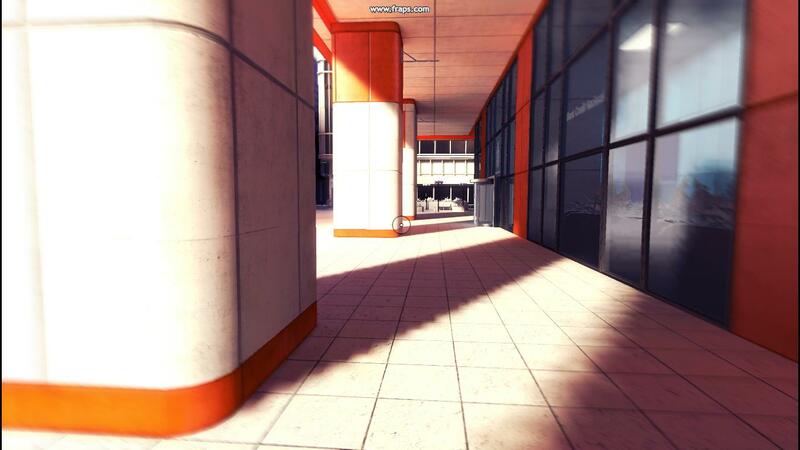 We waivered on antialiasing or anisotropic filtering. In these settings, the combination of a Core 2 Duo T9400 and a GeForce GTX 260M reached an average of 100 fps with disabled PhysX, 43 fps with normal PhysX settings and 35 fps with high PhysX settings. 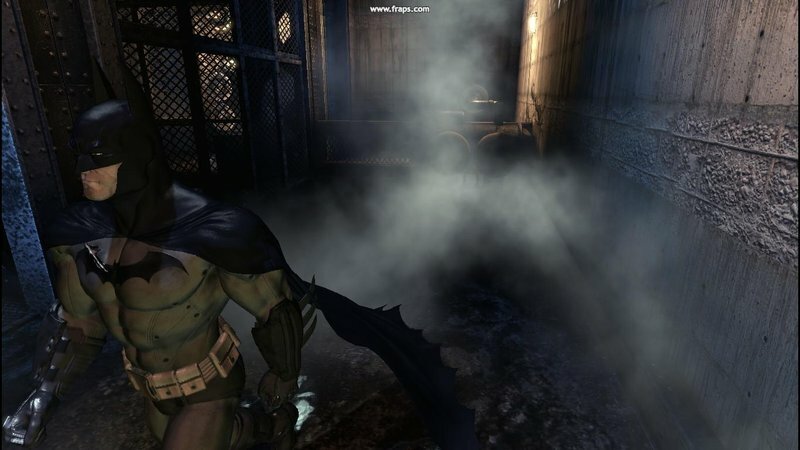 Thus, Arkham Asylum ran an immense 2.5 times as fast without PhysX. Because this vast difference was suspicious, we decided to execute an in-game benchmark with assistance from the Fraps tool. There were evident differences to the integrated benchmark here. The average refresh rate with disabled PhysX broke down almost by half to 57.2 fps instead of 100 fps. The difference with activated PhysX, however, turned out significantly lower. In the normal setting the average refresh rate fell only slightly from 43 to 37.4 fps. In high PhysX settings, the value stayed at almost an identical level with an average of 34.6 instead of 35 fps. Generally, an almost smooth gaming experience was possible with disabled PhysX on our GeForce GTX 260M. 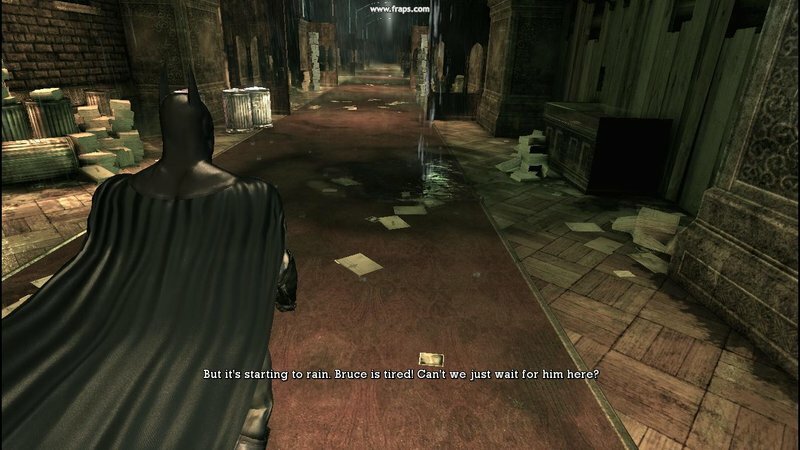 Arkham Asylum was mostly well-playable with the PhysX setting on "normal" but the performance collapsed every now and again, though. 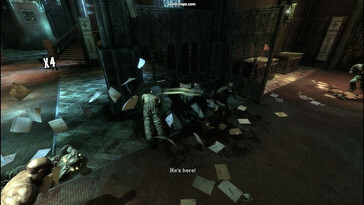 Arkham Asylum studdered along more often than not in the PhysX setting "high". This was especially seen in moments of extreme calculation, such as the mentioned destroyable material. Therefore, we would formulate our verdict as follows: With disabled PhysX, a middle class card of the type GeForce GT 240M/GTS 160M, respectively Radeon HD 4650/4670 suffices to supply smooth results in high details. In normal PhysX settings we would recommend at least a GeForce GTX 260M, though. Those who don't want to do without effects like destructible materials won't come around the high PhysX settings, for which a Multi GPU solution or very strong single GPU solutions, such as the GeForce GTX 280M would be recommendable. 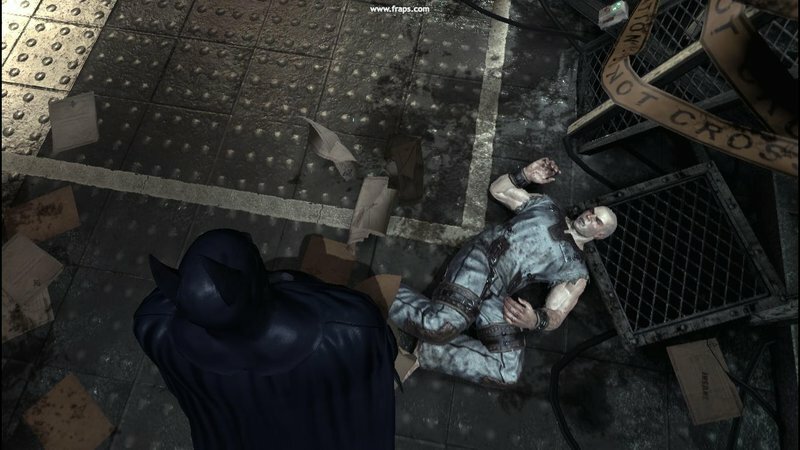 Batman Arkham Asylum has received a very good rating with an average of 89% (based on critify.de) in the German language trade press and probably represents the best published comic/movie softening aside from Riddick: Escape from Butcher Bay. 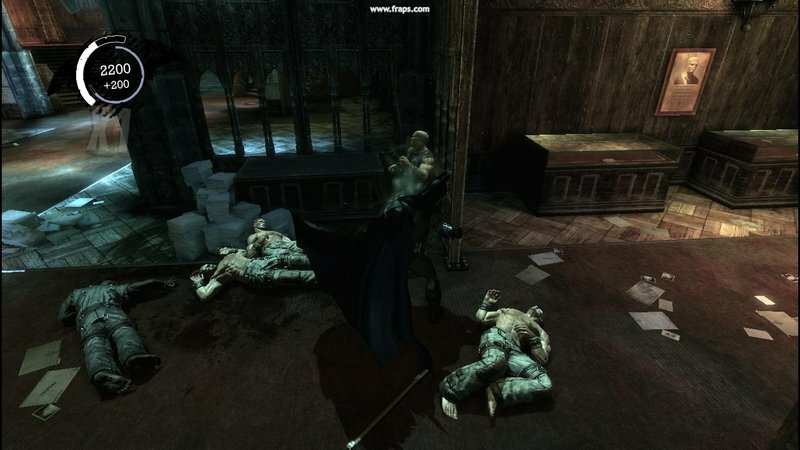 Arkum Asylum also made a good impression on us, at least in the limited time of play, whereas we find an average rating of 89% a bit too high. 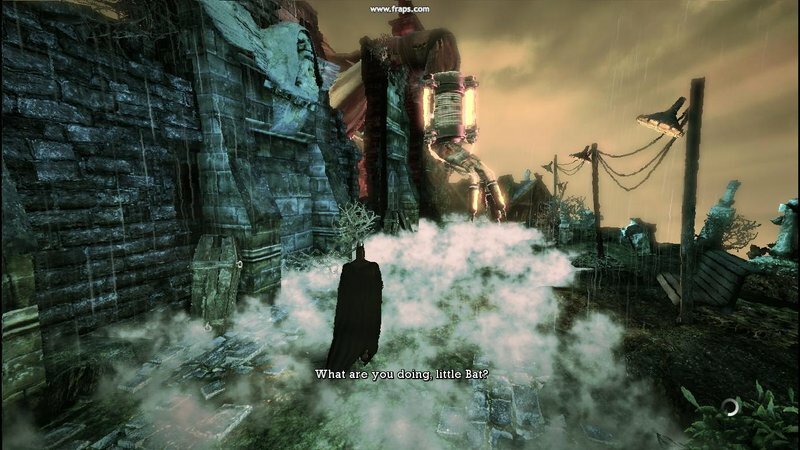 Especially because of its dense atmosphere, Arkham Asylum will have you spellbound because it knows how to build up effects even without PhysX. With PhysX effects, the atmosphere is raised to a new level and provides for the literal icing on the cake. Therefore, those who have such a strong PC and generally have an affinity to comics can very well take a closer look at Arkham Asylum. 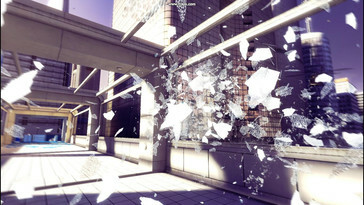 In Mirror's edge, Faith personifies a so-called runner, who conveys messages in a fictive and strongly monitored city. Faith mainly doesn't do this in a conservative way, such as on streets, but generally by jumping from roof to roof and from building to building. The surroundings are (intentionally) kept very "clean". 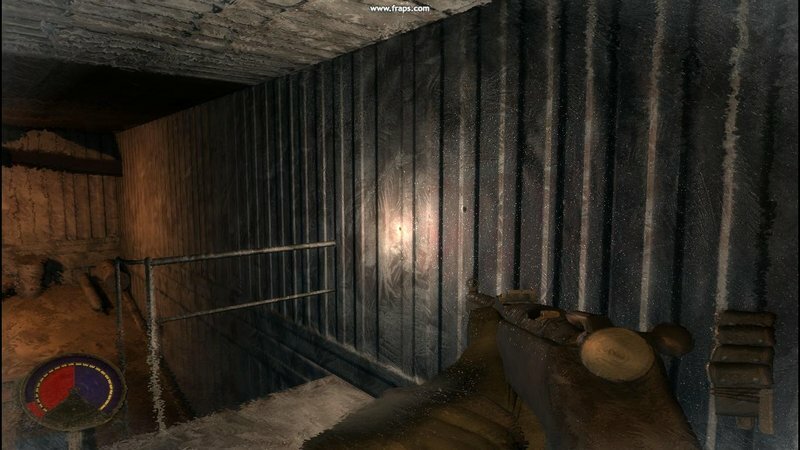 Of course you can argue about the game being to sterile and losing its atmosphere or if "smooth and clean" provides a unique atmosphere and symbolizes the conformity of a totalitarian state. The game play is strongly orientated on the trend sport "Parkour", which isn't only of great interest by game makers lately. 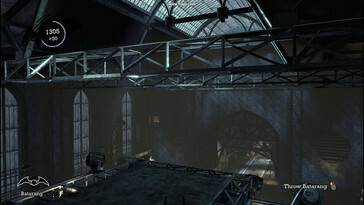 Parkour scenes can also now often be awed in movies. The most prominent example is probably the "construction scene" in the beginning of Casino Royale, where Daniel Craig, aka James Bond, pursues a terrorist in a neck breaking manner. 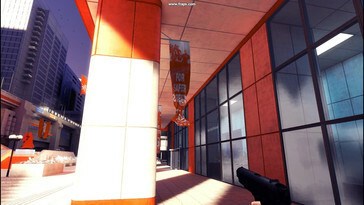 Because Mirror's Edge is unexceptionally played in the first-person perspective and the developers have put emphasis on a strong body feel (which isn't only obvious because you can see the arms and legs of the protagonist), an excellent immersion is created. 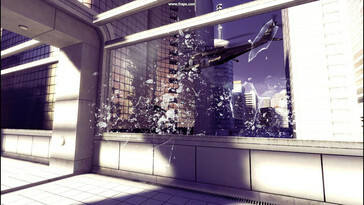 In Mirror's Edge especially two capabilities of the PhysX interface are used. One of them is the realistic glass effects. A glass shatters to a thousand pieces that are strewn at large through the room. 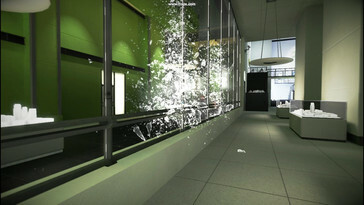 This effect is also available with disabled PhysX but the glass fragments only remain on the floor with enabled PhysX. 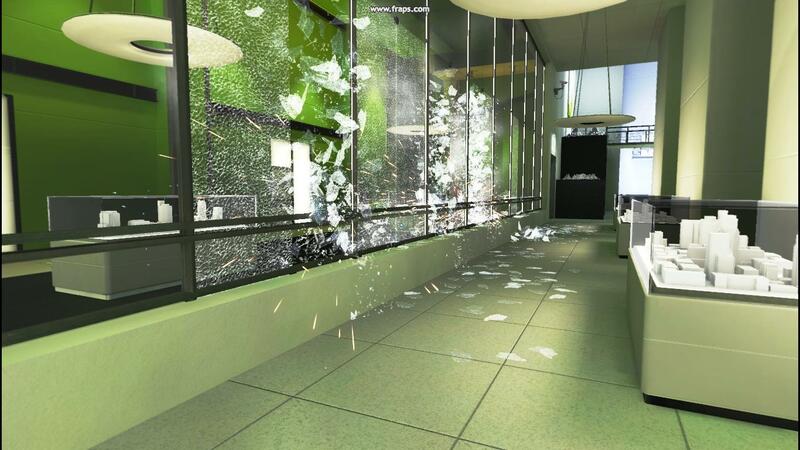 Also, the glass effects turn out a bit more generous with PhysX in a direct image comparison. In the rush of the game you barely notice this though, so that the difference is only seen with a trained eye. The most obvious significant difference is seen in destructible materials. Mirror's Edge has the one or other material surface with disabled PhysX, but this is unimpressive under fire. With enabled PhysX, the amount of material surfaces in the levels increase enormously. Under fire the material is disintegrated into its single part physically correct. 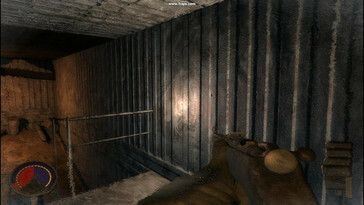 Therefore it can happen that an allegedly safe hideout from an enemy is simply shot away, as can be seen in out comparison pictures. Unfortunately, the performance collapsed when material was shot at (intentionally), although the game ran very smoothly otherwise. There is barely any reason for complaint as to performance. Mirror's Edge ran overall smoothly on our test system with a GeForce GTX 260M in a resolution of 1366x768, very high details and 2xAA with an average of 59 fps (PhysX disabled). The performance dropped "only" slightly to an average of 51.5 fps when PhysX is enabled, whereas Mirror's Edge is still well playable. Hence, even middle class cards like a GeForce GT 240M should be sufficient to enjoy Mirror's edge including PhysX effects. 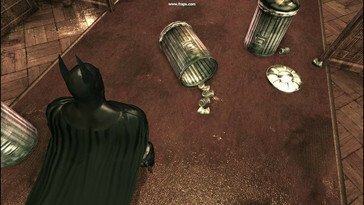 However, it has to be noted that you barely see a difference, with exception of the destructible materials. 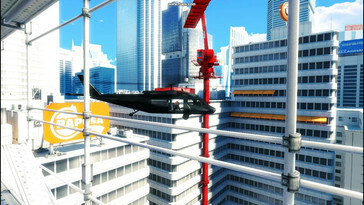 Mirror's Edge has been awarded with an average of 83% by the German trade press, a good to very good result. We played Mirror's Edge completely and find 83% justified. 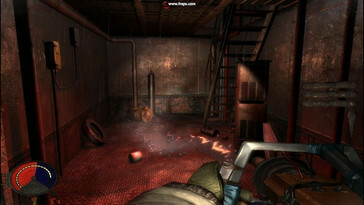 On the pro side there are the interesting scenes, the daring and unique graphical interpretation, the intense body feel and the innovative game play. On the con side there are the overall weak story and a gaming principle that really wears out with time. Because Mirror's Edge can be bought in the meantime at a discount price of around 20 Euros, potential buyers can definitely buy it. In Cryostasis you are Alexander Nesterov and you have the assignment to examine the run-aground atomic icebreaker North Wind in the eternal ice of the polar circle. Actually, in these temperatures the crew should be deep-frozen by now, but it turns out that a few crew members have mysteriously metamorphosed to mutants, who have to be beaten in the tight passageways and corridors of the ship. 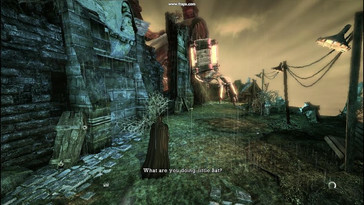 Unique and fitting to the scenario is the innovative healing system. The hero isn't healed via medikits or automatically with time, as many games have copied it from the most famous forerunner Call of Duty 2. 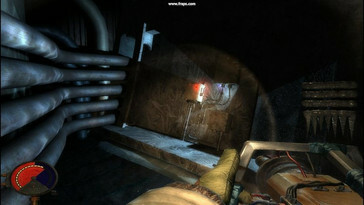 In Cryostasis the hero warms himself up at various energy sources, like lamps or torches, to a certain level. Because all "heatings" on the ship are defect, the life energy sinks slowly but continuously remote from these heat sources to a certain level. Cryostasis' game play reminds of survival series like Silent Hill or Resident Evil known from consoles. 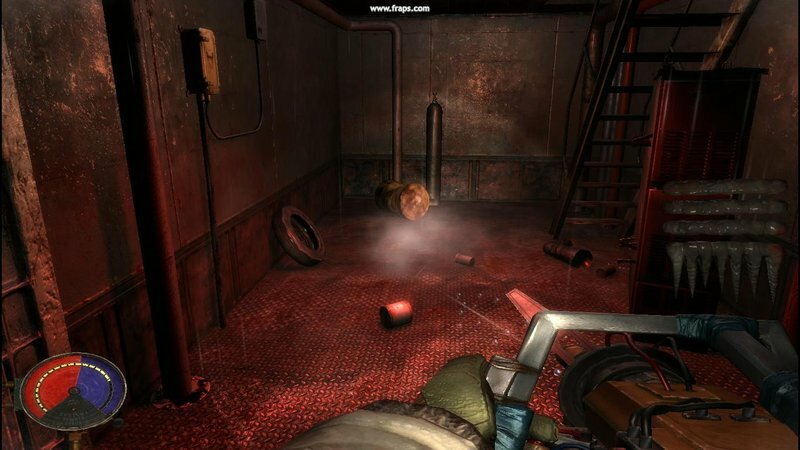 The genre of horror or survival for PC is rather scarcely filled. Therefore our first thought went to an indexed and in the meantime even confiscated game by Monolith (F.E.A.R., Tron 2.0, No one lives forever). 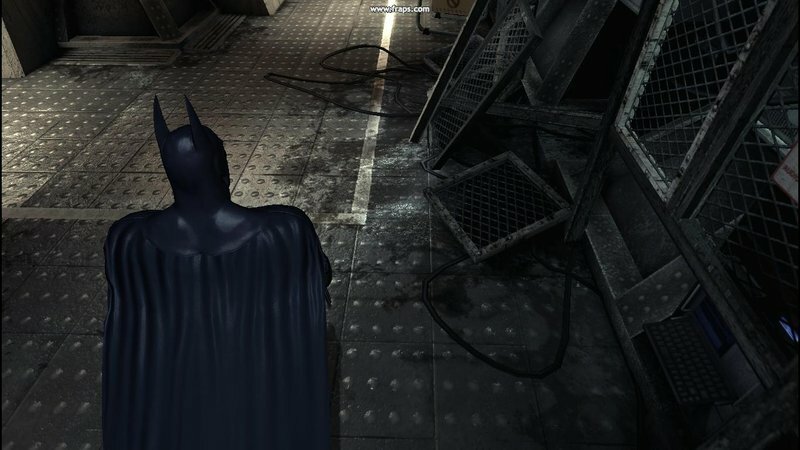 As already Batman Arkham Asylum, PhysX supplies attractive particle effects, mainly as sparks from defect power lines, etc. 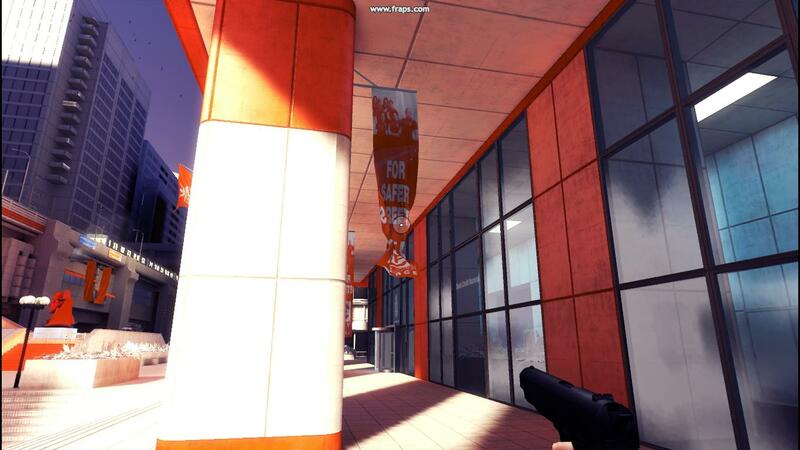 These effects mostly disappear completely without PhysX, which fortunately hardly has an effect on the illumination. The utilization of firearms lead to a widespread spark flight when metal surfaces are hit in Cryostasis. The correlating sparks even react with objects and are braked or diverted. These effects, once again, almost completely vanish without PhysX and the player has to be satisfied with simple bullet holes. The water cannon acquired in the run of the game seems almost programmed just for the PhysX interface. 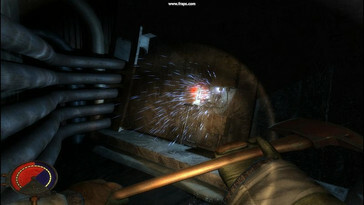 The weapon fires at opponents, as the name already indicates, with ice-cold water with enabled PhysX. This effect doesn't only injure the enemies decently, but also looks exceptionally good. The weapon's effect looks almost funny without PhysX because only smoke is extracted and minute bubbles float up. 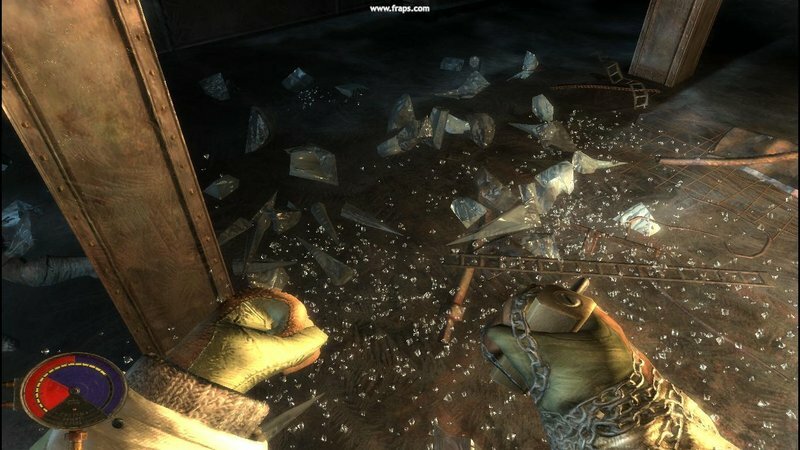 If you break or shoot the often encountered icicles in the game they crumble to pieces and soar to the floor. 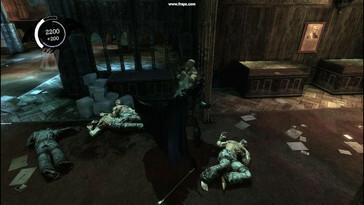 The fragments react physically correct when the character is moved over them. The ice effects already look good with disabled PhysX but the presentation quality improves with enabled PhysX even more. The icicles don't only fall to various pieces but partly burst to hundreds of minute slivers. In Cryostasis, the ship walls are frequently covered with melted ice and that regardless of the selected PhysX settings. Activating PhysX, visible differences are shown in another relation, though. 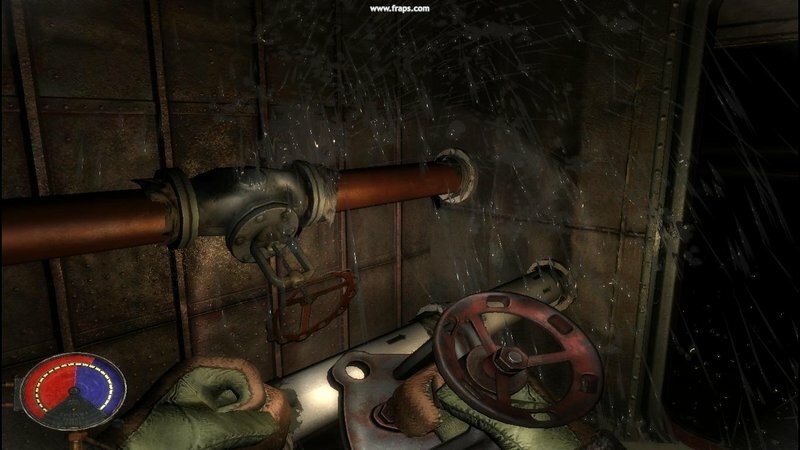 For instance, spouts of water pour down in some places of the virtual world (out of broken pipes for example) with enabled PhysX. Other games, like Bioshock, might bid nice water effects but they can't quite compete with the quality of Cryostasis. Cryostasis has to take a lot of criticism in view of performance. 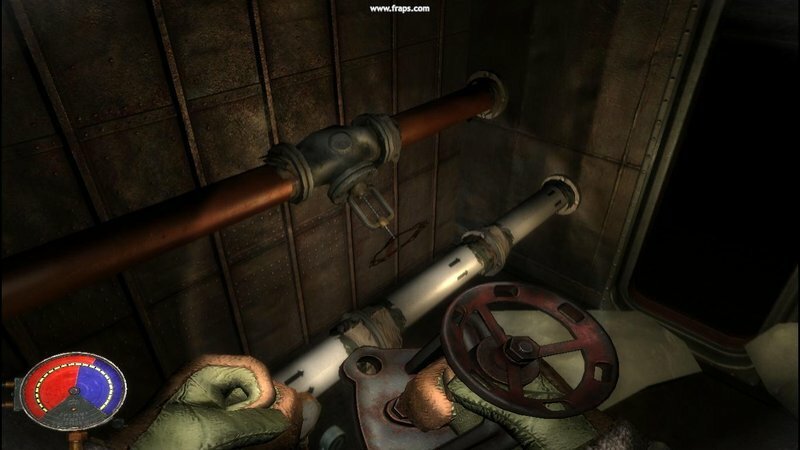 Because no matter if we enabled or disabled PhysX FX, the game was always overloaded in a resolution of 1366x768 and high details on our test system with a GeForce GTX 260M and studdered along. Whilst Cryostasis still ran, at least for enduring gamers, halfway reasonable with an average of 32 fps at disabled PhysX FX, the activation of PhysX FX provided for an almost unplayable 27.4 fps. Cryostasis is graphically very felicitous, but such a poor performance isn't justifiable compared to that. The developers have simply not taken enough time to optimize the engine here. Therefore, we recommend at least a GeForce GTX 280M or even a multi GPU solution straight away without the advanced PhysX effects. Cryostasis is definitely a game that will divide natures. The game's strengths are its density and because of the tight rooms an almost claustrophobic atmosphere, the unique setting in the eternal ice and the interesting and enthralling story that is often narrated in (interactive) flashbacks. 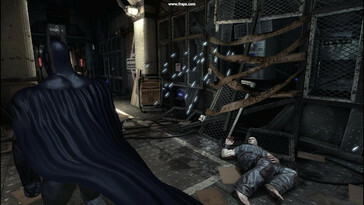 The game's weaknesses are the unvarying game play and scenes, the restricted freedom of movement and the bad performance. For gamers with a strong notebook and who like to play survival and horror tracks, Cryostasis is worth considering. The echo in the German press turned out varied, Cryostasis managed a fair average rating of 75%. The price for the game is currently around an acceptable 30 Euros. PhysX is very well capable of elevating the atmosphere of a game to a new level. However, activating PhysX obviously goes to the cost of performance which is basically why at least a GeForce GTX 260M should be in your notebook in order to enjoy the attractive effects in high details. However, the sole reason for buying a game, a graphic card or a notebook shouldn't generally be the PhysX support because apart from the optic, the gaming differences, respectively the advantages, are kept starkly within a limit. Until tracks come on the market that also have made a step forward in gaming with physics-based gameplay, so much time will probably have past that a uniform physical interface has become standard. 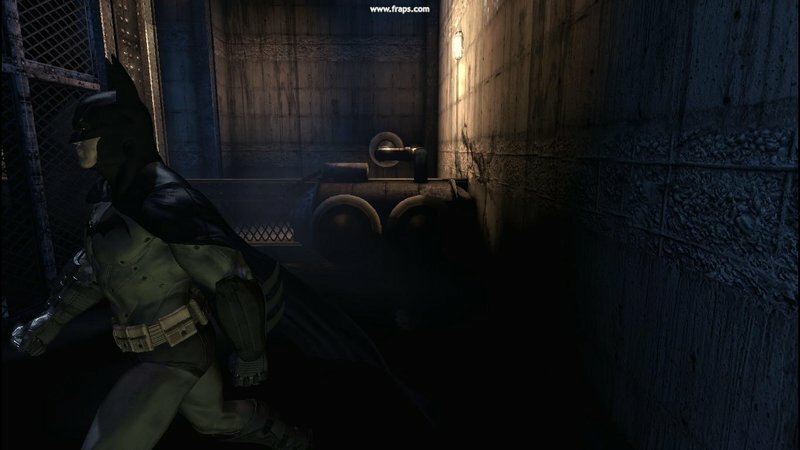 At the moment, developers financially simply can't afford to let a game be based on physics to such an extent so that half the buyers would drop out through the lacking support from ATI. With the new uniform interfaces to the graphic card (OpenGL, Direct Compute Shaders) there could be movement on the physical engine market in the future. A first step is, for example, the open source Engine Bullet, which supports all state-of-the-art graphic cards via various interfaces. However, Bullet doesn't (yet) offer the vast functional circumference of PhysX or Havoc (which still are limited to the GPU acceleration of their "storage"). 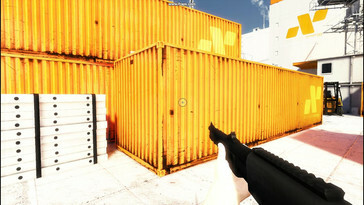 Until then, however, a certain amount of time will pass, which is why PhysX will remain "state-of-the-art" for a while. 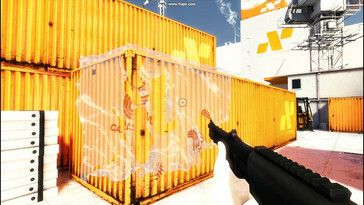 Overall, we regard PhysX to be a good looking but not gaming decisive gimmick.